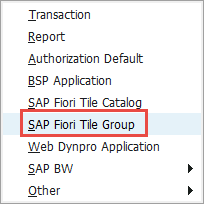 With SAP Solution Manager 7.2, we made all our major applications available as tiles in the SAP Fiori Launchpad. However the tile groups and catalogs we deliver are probably not arranged according to your needs and the roles of your users. You most likely want to make only subsets of these tiles available to your different user groups. 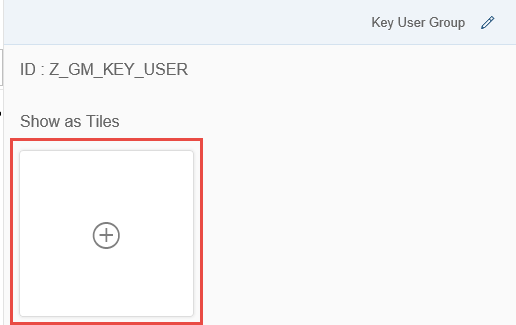 For example, your key users may only need the Requester tile and the Fiori apps, whereas managers require the analytics dashboards. In fact, the default tile arrangement is only there for you as an example and superset. We intend and indeed encourage you to rearrange all this content to your liking. 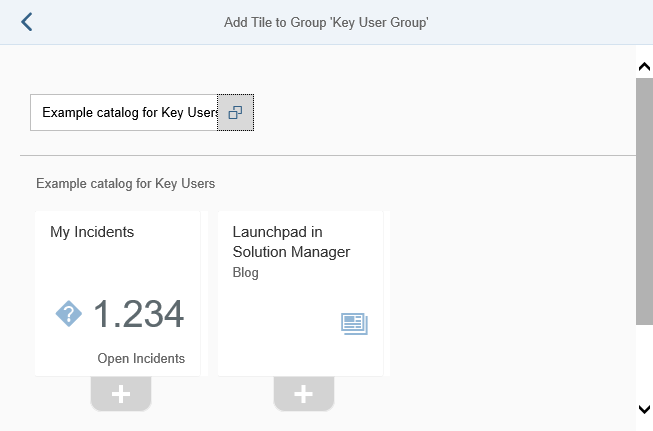 To help you, the Fiori Launchpad contains easy to use tools for creating new tiles, catalogs, and groups – all without modifying the content SAP delivers. 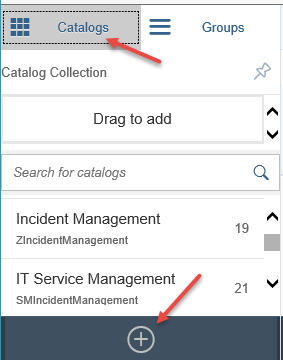 Create new catalogs and groups. Assign tiles to the new catalogs and then to the groups. 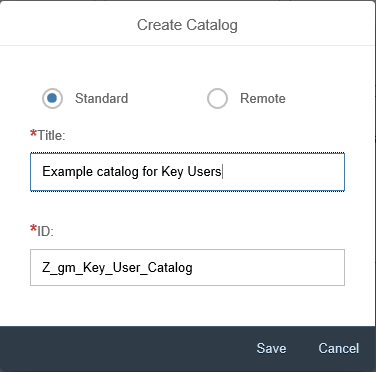 Use authorization (PFCG) roles to assign the new catalogs and groups to your users. 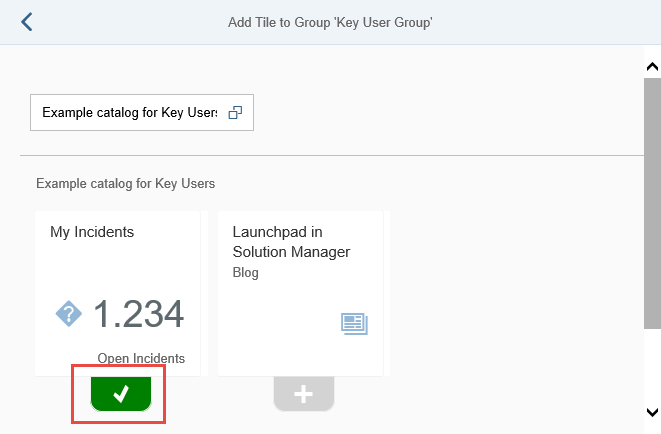 Before you continue reading, you may wish to read my introductory article on the Fiori Launchpad in Solution Manager 7.2 and a specific article on how to correct broken links in the launchpad. A catalog is a grouping of tiles which you can assign to specific users. The catalogs assigned to a user provide all tiles available to that user. Users can select the tiles they wish to use from their assigned catalogs. Users cannot add or remove tiles from catalogs, nor can they create catalogs. Like catalogs, groups contain tiles, but only a subset of the tiles available from the catalogs assigned to a user. 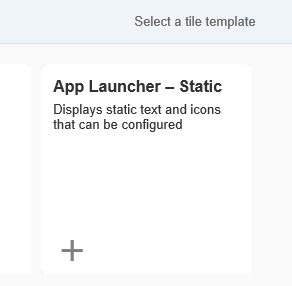 These are the tiles which users actively use to launch the applications they need to work with, and are the tiles the user immediately sees when they log on to the Fiori Launchpad. 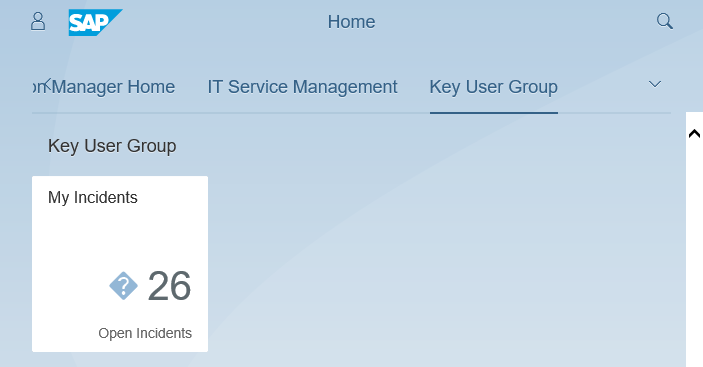 The system displays a user’s groups, and the tiles in these groups, as the first thing when the user starts the Fiori Launchpad. Users can create new groups, remove groups, and add and remove tiles from groups. You can restrict users from doing the above – in general, or for specific groups. 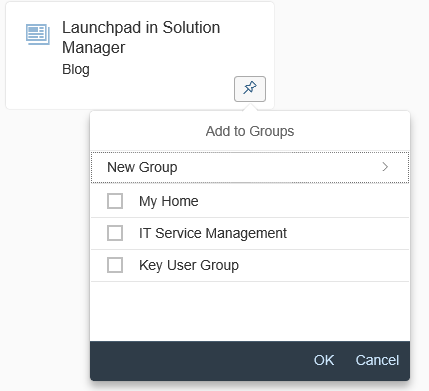 The Fiori Launchpad Designer can be called in two modes: “cross-client” and “current client”. For our purposes here, we’ll assume you will use the cross-client option: this is suitable for major changes, in particular creating new content. You’ll need a workbench request for this step. 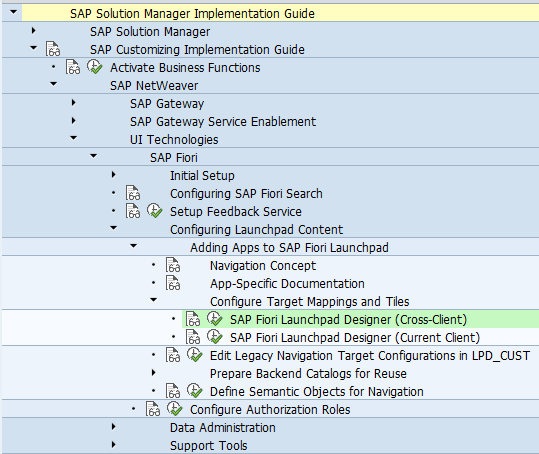 Start the Launchpad Designer (enter /n/UI2/FLPD_CONF in your SAP GUI’s command field, or use the IMG as stated above). 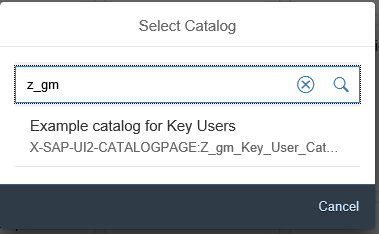 Select “Create Catalog” (the “+” button). Enter a title and technical ID and save. Now you have a new tile catalog waiting to be filled with the tiles for your key users. Normally we would do this as the next step, but let’s first continue to creating a group for the tiles from this catalog. This time, select the “Groups” tab. Select “Create Group” (the “+” button). Enter a title (which your users will see) and a technical ID (for you to identify the group) and save. 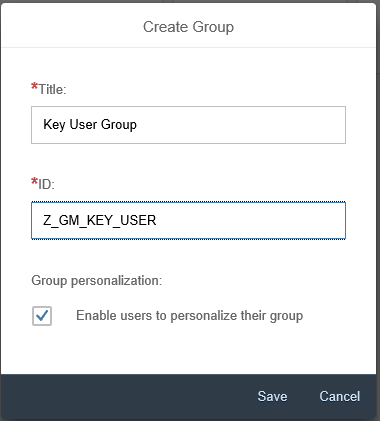 You can see in the screenshot above that you can determine if your users may personalize the group: if you select the “Enable users to personalize their group” option, users can add and remove tiles from the group. 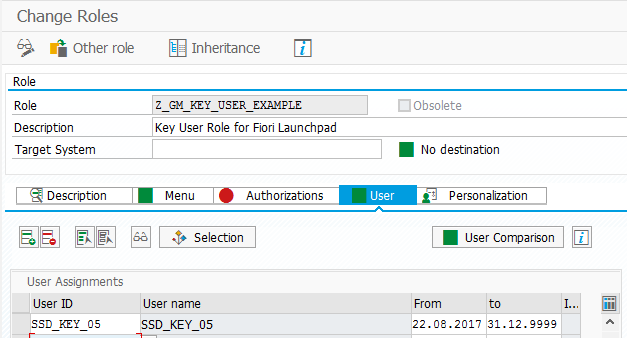 If you do not select this option, the system will lock the group – which also has the side effect of making the group appear at the very top of the user’s launchpad. The system enables this option by default. This is where you fill things with life. You should note that you can add tiles from different catalogs to one group. Mix and match. 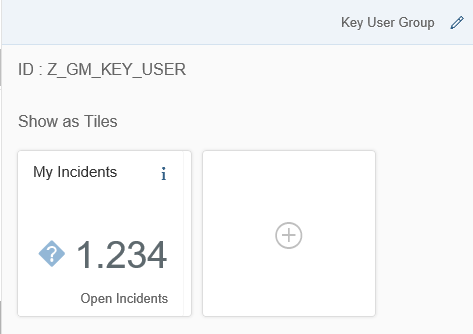 For example if your key users require tiles from both IT Service Management and Change Management catalogs, you can put all these tiles into one key user group. 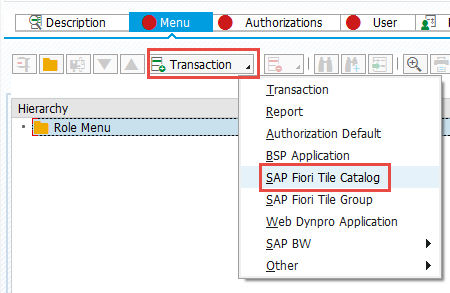 Do this if you want to use the tiles delivered by SAP (or even by you in your own catalogs) without modification in your new catalog. Don’t worry, if you want to later modify the tile, the system will ask you if you want to ‘break’ the link – this creates your very own copy of the original tile. 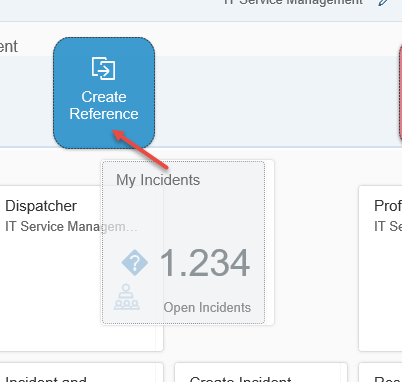 Start dragging the “My Incidents” tile with your mouse. The system will display “Create Reference” and “Delete” options. Drag the tile to the – I hope obvious – “Create Reference” option. If this looks like too much work, you can simply assign the original tile catalog to your users but then create your own groups (see the instructions below). 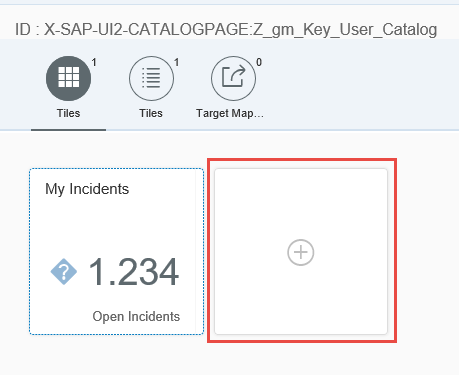 That way, the user will see your own tiles grouped the way you like when they log on, but they still have access to the original tile catalogs as delivered by SAP. Either create a new role or choose an appropriate existing role which you can modify. If you enter personalization mode, you’ll find the new catalog there too. The special My Home group is there just for the user to personalize, to add the tiles which they frequently use. They can add any tiles they want to this group. The tiles in the launchpad are there for you to rearrange as you like. In fact, we expect you to recombine them into new groups and catalogs which match the needs of your users. 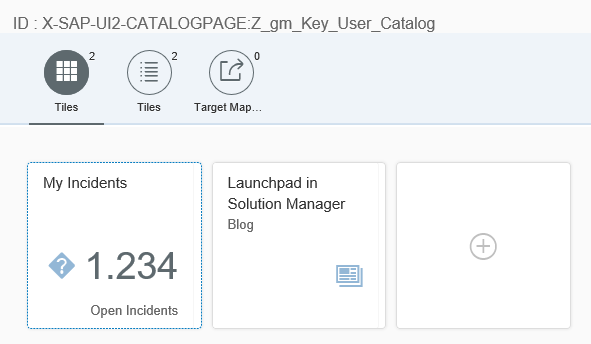 The SAP launchpad design tools make it very easy for your to create your own, optimized Solution Manager launchpad. 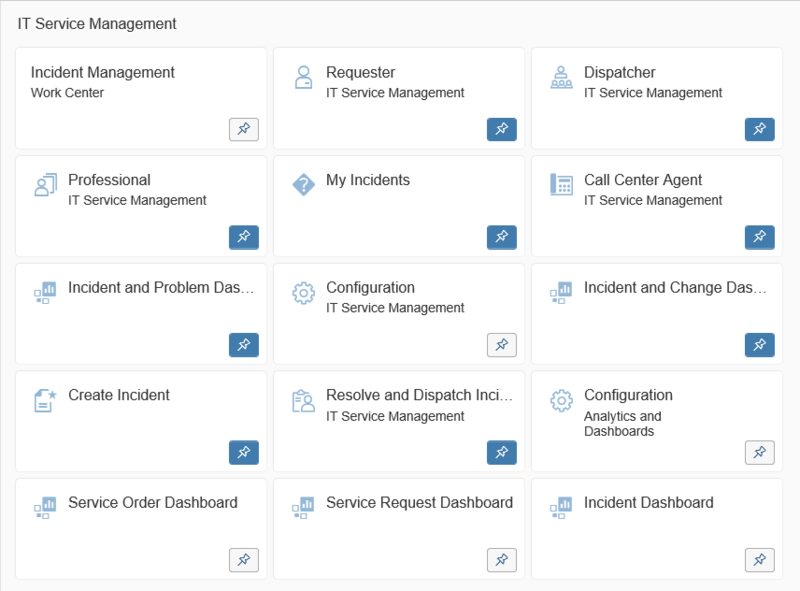 Have fun creating the SAP Solution Manager that works best for you! This is very good explaination! If the original tile also has a target mapping, you have to create a reference to the target mapping as well. You can also simply assign the original tile catalog to the user, but not the original group, if you are mostly interested in just creating your own tile groups.